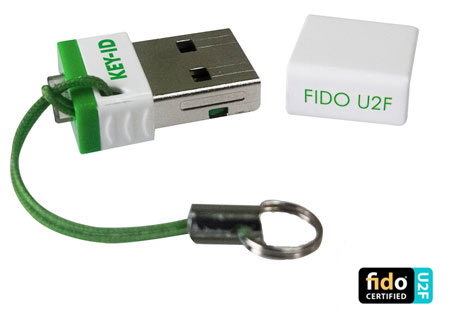 The 2nd generation FIDO U2F token from Key-ID is a compact USB security token that adds a strong second factor to user logins for the growing number of online services that support this new technology. Compatible with Windows, macOS, Linux and Chromebook, this security key is designed to work straight out of the box and enjoys native support in Chrome and other FIDO-compliant browsers and add-ons. Online service providers that support FIDO U2F as part of their two-step verification include Facebook, Google, Dropbox and GitHub. 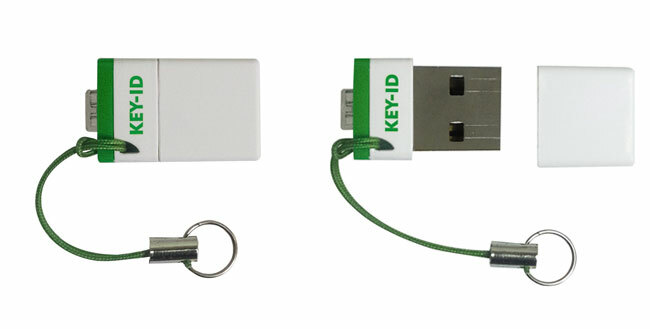 The 2nd generation Key-ID FIDO U2F token supports any number of accounts registered within one key, eliminating the need to maintain and manage multiple devices. Offering secure smartcard-like authentication at the simple press of a button, this FIDO token allows users to combine their own passwords with the high level of hardware-based protection it provides. Below is an additional photo of the Key-ID FIDO U2F token. This device is also known as ePass FIDO and is certified by the FIDO Alliance under that name. FIDO® is a registered trademark of FIDO Alliance, Inc.